Westtown’s Cameron Reddish (22) prepares to take a jump shot in last year’s Spalding Hoophall Classic. 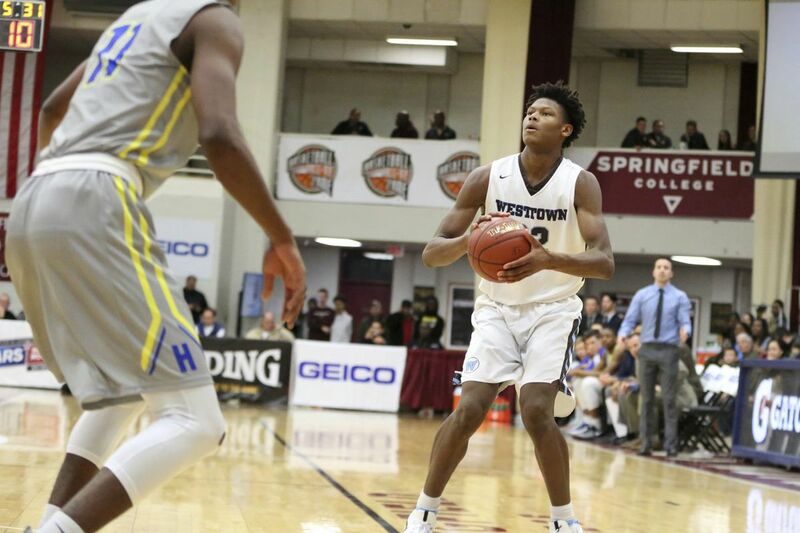 Westtown's Cameron Reddish, a 6-foot-7 senior wing guard who has signed to play at Duke, was selected Tuesday to participate in the McDonald's All-American Game. The 41st annual contest will be played March 28 at the Philips Arena in downtown Atlanta. The boys' game will start at 7 p.m. and be televised live on ESPN. Westtown’s Cameron Reddish (22) will continue his career at Duke. Reddish, who is averaging about 25 points and 5 rebounds per game, is a five-star recruit and ranked the third-best player in the country in the class of 2018 according to ESPN. Last year, Westtown's Mohamed Bamba (now at Texas), Neumann-Goretti's Quade Green (Kentucky), and Reading's Lonnie Walker (Miami) were picked to play in the 40th edition of the prestigious showcase. Reddish netted 25 points for the Moose in Monday's 75-71 loss to Florida's IMG Academy in the Spalding HoopHall Classic in Springfield, Mass. Reddish averaged 16.2 points and drilled 57 three-pointers last season while helping lead the Moose to a 32-2 record and the Pennsylvania Independent Schools Athletic Association title.